She decided then that if she ever opened another restaurant, Twisted Soul would be its name. In many ways, the neighborhood seems a microcosm of Atlanta’s larger culinary scene, where the most powerful and celebrated chefs are nearly all white and male. Taking over the former Bone Lick BBQ space just past the Goat Farm on Huff Road, Twisted Soul joins a growing number of hip eateries and boutiques in an area that was not long ago an industrial wasteland. VanTrece appreciates the diversity of the area, the fact that its vibe is still a work in progress. Out front is a small street-facing patio; inside is sleek and modern — large plate glass windows, planter full of skinny birch logs, long central bar with bottles sexily backlit. Touches of down-home décor add character: squares of corrugated metal and cast iron pots adorn the walls, dark wooden slats add texture behind the bar. VanTrece’s wife, Lorraine Lane (the couple made it official in a surprise wedding ceremony last spring), holds down the cocktail program with a fanciful menu centered on house-infused moonshines and bourbon. “She’s become the mad mixologist, and I’m the mad chef,” VanTrece says. Try the Lemon Basil Shiner for a tart blend of American Born White Lightning muddled with Finch Farms basil and lemon zest, or For the Love of K. Berry (both $10) with Woodford Reserve, blackberry and orange liqueurs and a nip of sour. 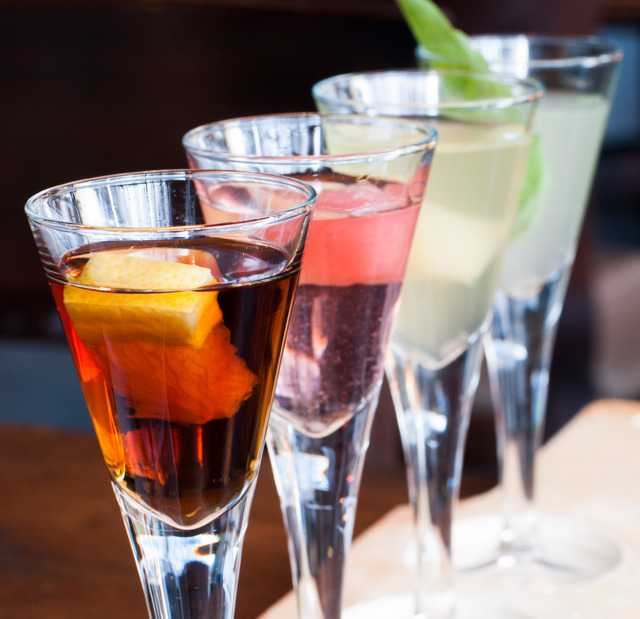 A moonshine flight will set you back $20 for a quartet of sample-size house blends — pineapple, sweet tea, spicy watermelon and lemon — prettily presented on a wooden paddle. 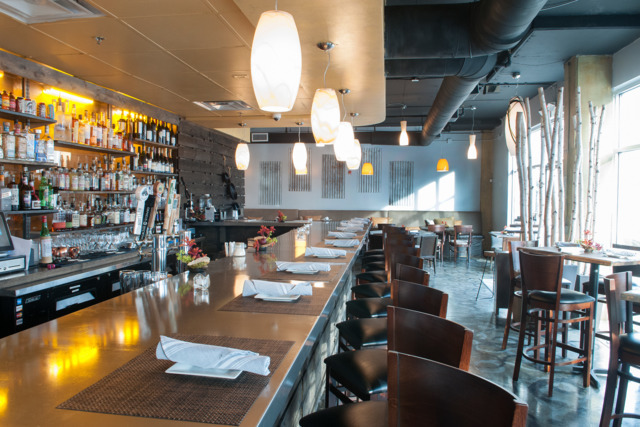 Twisted Soul serves lunch, dinner and brunch on weekends (featuring limitless mimosas or Bloody Marys for $15). Daily blue plate specials give VanTrece’s kitchen protégés a chance to flex their culinary skills, and on Thursdays, there’s a family dinner for $10 a head. 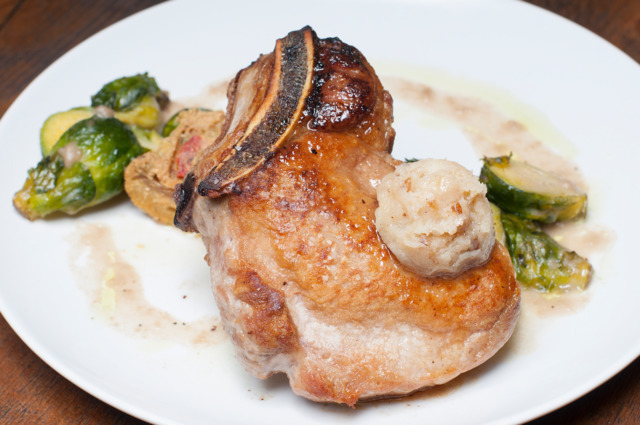 The menu reflects both the atmosphere and the restaurant’s name: modern and playful yet rooted in tradition. Rich in flavor, history and calories. Offerings on our dinner visit were wide but cohesive: small plates include smothered coconut chicken wings over jasmine rice ($9), a rich gumbo ya ya packed with seafood and spicy sausage ($13), and sticky sweet tea marinated baby back ribs ($14). 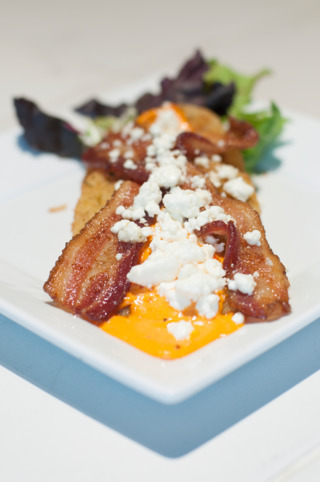 Fried green tomatoes ($7) are served with local goat cheese and a tangy roasted red pepper aioli (add bacon for $2). Mains include pan-seared redfish with jambalaya grits, moonshine butter, and kale and cabbage coleslaw ($22), duck confit with sweet potato dumplings, country cream gravy and winter greens ($22), and even a vegan pasta bowl with spaghetti squash and collard green pesto ($17). VanTrece’s fried chicken ($17) comes from a recipe passed down by her grandmother. Marinated in plenty of spices then pan-fried in cast iron, it arrives beautifully crisped on the outside with a juicy — but not greasy — interior. Beneath it, a bed of classic fixings, each with its own modern twist: three cheese mac made from orecchiette, jalapeño-kissed greens daintily wrapped up like a spring roll, a tangy sweet potato apple chutney that plays on traditional candied yams and pulls the whole plate together. VanTrece recognizes that upmarket soul food is trending right now, and that chefs have a tendency to jump onto cultural bandwagons. But she doesn’t mind. In many ways, it seems an appropriate resurgence, given current events: a cuisine born from resilience in the face of oppression.